Baidu Inc, China's leading search engine, has attracted more than 1 billion yuan ($164.3 million) of investment on its online wealth management product Baifa after it was made public Monday morning, the company said later that day. 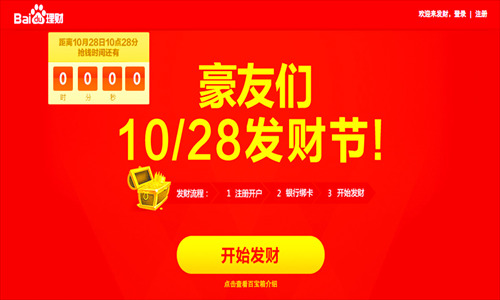 Baidu cooperated with China Asset Management Co to launch Baifa, which allows a minimum investment of just 1 yuan and was at one time promoted as a product with an annual fund return of 8 percent, though the company said on October 22 that it would not guarantee that rate. 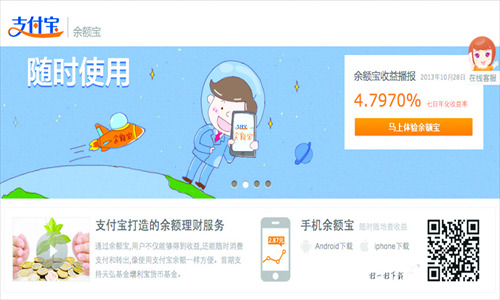 The wealth management product's closest rival in the market is Yu'ebao, which was launched in June by China's e-commerce giant Alibaba Group. Yu'ebao allows users of Alipay, China's biggest online payment platform, to use the money in their accounts to invest in funds. Yu'ebao's return rate stood at 4.8 percent Monday. China's largest e-commerce and Internet service companies, including Alibaba Group, Tencent Holdings and Suning Appliance Co, have either made moves or shown interest in offering wealth management products online. Baidu touted Baifa as "an innovation based on the online financial service platform," and is a "combination plan of wealth management products," but it did not specify which components are included in the plan. Although the search engine giant heavily promoted Baifa prior to its launch, the product's website encountered technical errors which prevented customers from logging in and buying the product for nearly three hours Monday morning. "Because the website received a huge amount of visits simultaneously, Web users from some locations had trouble logging in," Baidu said in a statement published on its official Sina Weibo account. Zhang Meng, an analyst from Analysys International, told the Global Times Monday that it was "unacceptable" that Baifa's website malfunctioned on the first day. ­prepare well and was not experienced enough in handling such deals," Zhang said. 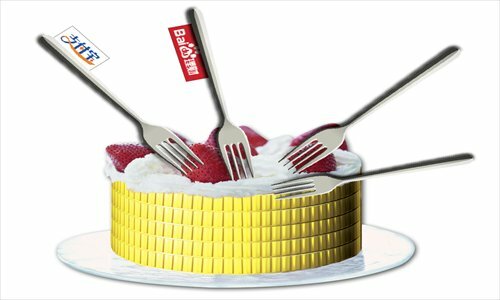 An investor from Qingdao, East China's Shandong Province, told the Global Times Monday on condition of anonymity that he took ­­thousands of yuan out of his Yu'ebao account a few days ago to invest in Baifa. "I'm so disappointed. I don't know if I can still trust financial products offered by Baidu if it had such a problem on the very first day," he said. Despite some customers' disappointment, more than 1 billion yuan was invested in Baifa as of 2:50 pm on Monday, only two hours after the technical problem was fixed at 1 pm, the company said. No more updated data was available as of press time. Lu Zhenwang, founder of Shanghai Wanqing Commerce Consulting, told the Global Times Monday that Baifa performed so well because of heavy marketing from Baidu. However, Baidu needs time to set up close cooperation with banks before it could catch up with Yu'ebao's service quality, Lu said. "While Alibaba is very experienced with conducting a large number of online deals at the same time, Baidu is still a newcomer to the game."